Police have issued a photo of a man - who may be in West London - for allegedly kidnapping and torturing a man in Birmingham. Luke Jones, aged 25 from Ladywood, Birmingham, is wanted in connection with an offence which took place in September 2012, when a man was held against his will and tortured and assaulted over a period of 48 hours. Jones, who is also known by the street name of 'Kid,' 'K' or 'Kilo' also has links to the West London area. 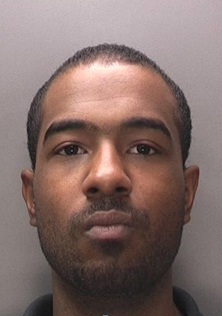 PC Mark Hilton said: "Despite on-going enquiries by officers, Jones has continued to evade capture. We know he has links to areas in London, including Shepherd's Bush, Acton, Ealing and All Saints and we are appealing for anyone who has seen him or knows his whereabouts to contact us." He added: "Jones is wanted in connection with this serious offence which left the victim with extensive wounds. He is also wanted for a string of motor offences, we need to trace him and urge anyone who knows of his whereabouts to contact us at their earliest opportunity." He is described as being a light-skinned black man, medium build around 5'9,with short facial hair/stubble and short cropped hair. Jones also has a local Birmingham accent. Anyone with information relating to his whereabouts should call CID at Birmingham Central police station by calling 101 or speak to Crimestoppers anonymously on 0800 555 111.